A scalable, integrated intervention to engage people who inject drugs in HIV care and medication-assisted treatment (HPTN 074): a randomised, controlled phase 3 feasibility and efficacy study. Miller WC, Hoffman IF, Hanscom BS, et al. This article reports on results from the HIV Prevention Trials Network 074 (HPTN 074) study, a multi-site randomized controlled trial that evaluated the feasibility and efficacy of an integrated intervention for HIV-positive people who inject drugs (PWID) in Vietnam, Indonesia, and Ukraine. 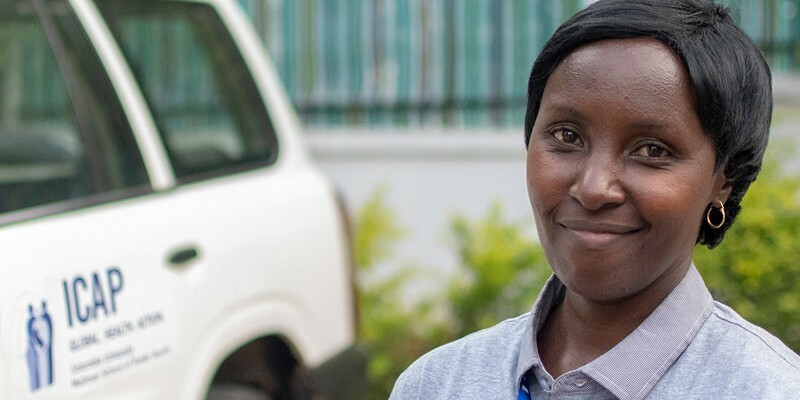 PWID who were living with HIV (index participants) and their HIV-negative injection partners were recruited and randomized (3:1) to receive the standard of care or the intervention. Index participants in both groups received referrals to standard HIV and medication-assisted treatment (MAT) services, along with a harm-reduction package, while participants in the intervention group also received systems navigation support and psychosocial counseling. Compared to the standard of care, index participants receiving the intervention had a significant increase in ART uptake, MAT uptake, and viral suppression, and a significant reduction in overall mortality at 52 weeks. HIV-negative injection partners of PWID receiving the intervention also had a significant reduction in mortality over 52 weeks, and there were no new HIV infections in this group. These results suggest that a relatively simple, flexible, and scalable intervention can have a significant impact on HIV outcomes, MAT use, and survival among this high-risk population. How could the results presented in this article inform the provision of services for PWID in the programs that you work with? What programmatic challenges do you foresee in implementing the intervention described in this study? Do you have any experiences to share? The HIV Prevention Trials Network 074 (HPTN 074) study was a multi-site randomized controlled trial that evaluated the feasibility and efficacy of an integrated systems navigation and psychosocial counseling intervention for HIV-positive people who inject drugs (PWID) in Vietnam, Indonesia and Ukraine. Evaluation of the intervention included its impact on antiretroviral therapy (ART) uptake, viral suppression, medication-assisted treatment (MAT) uptake, and mortality, as well as its effect on HIV incidence and mortality among uninfected injection partners of participants. A community-based non-governmental organization in Kyiv, Ukraine, two district health centers in Thai Nguyen, Vietnam, and a hospital in Jakarta, Indonesia. PWID network units were recruited to participate, consisting of an HIV-positive PWID (index participant) and up to five HIV-negative injection partners. Inclusion criteria for all participants were age 18–45 years (expanded to 18–60 years 8 months into the study), active injection drug use, no plans to move outside of the area within the next year, and ability to provide written informed consent. Additional inclusion criteria for index participants were confirmed HIV infection, viral load ≥1000 copies/milliliter, ability to identify, recruit, and enroll at least one eligible HIV-negative injection partner, and willingness to participate in intervention activities. Eight months into the study, CD4 count >50 cells/microliter was added as a criterion, due to high mortality among participants. Inclusion criteria specific to injection partners were a confirmed injection relationship with the index, based on referral identification cards or matching physical description, and no HIV infection. Exclusion criteria for all participants included psychological disturbance or cognitive impairment that would impede participation, or any other condition that would make participation unsafe, and previous or current participation in an HIV vaccine trial. To maintain independence between injection networks, referred partners who were found to be HIV-positive were not eligible to become index participants, and partners could only enroll for one index participant. Index participants received monetary compensation for successful partner enrollment, and all participants were compensated for their time and participation. Index participants were randomly assigned (3:1) to either the standard of care or intervention groups. Index participants in the standard of care group received a standardized harm-reduction package, which included HIV testing, referral to existing HIV clinics for ART according to national guidelines, and diagnosis and management of sexually transmitted infections, hepatitis B and C viruses, and tuberculosis; referral to MAT and syringe-service programs; and risk reduction counseling, including access to condoms. Systems navigation to facilitate engagement, retention, and adherence in HIV care and MAT, and to negotiate the logistics and costs of laboratory testing and transportation. Navigators met with index participants twice in person or by telephone, and subsequent sessions were done in person, by telephone, or via text messages, based on participant needs. Psychosocial counseling using motivational interviewing, problem solving, skills building, and goal setting to facilitate initiation of ART and MAT and support medication adherence. Index participants received a minimum of two psychosocial counseling sessions, with additional booster sessions offered at one and three months after enrollment, and as needed thereafter. Index participants were also encouraged to bring a social support person (e.g., family member, sexual partner, friend) with them to their counseling and systems navigation sessions. ART initiation regardless of CD4 count. Injection partners in both groups received a standardized harm-reduction package with referral for MAT, consistent with national guidelines. Index participants were followed for 12–24 months, and injection partners were followed until their index withdrew, died, or exited. Index participants and their injection partners completed an interview at screening, enrollment, one month, quarterly, and at an exit visit. Index participants and injection partners provided blood samples at every study visit, with CD4 and viral load tests done at screening and at six, 12, 18, and 24 months. The primary objective of the study was to determine the feasibility of a future randomized controlled trial by estimating HIV incidence among injection partners of index participants, assessing enrollment and retention of HIV-positive PWID and their HIV-negative injection partners, and assessing feasibility, barriers, and uptake of the intervention at 26 and 52 weeks. Secondary objectives were to evaluate the effect of the intervention, compared with standard of care, on self-reported ART initiation, MAT initiation, and viral suppression among index participants, and HIV incidence among injection partners. Although not a pre-planned endpoint, mortality was also compared across treatment groups for both index participants and injection partners. A modified intention-to-treat population was used for all analyses, defined as all randomized index participants who met eligibility criteria and had an eligible injection partner enrolled. Between February 2015 and June 2016, 3,343 potential index participants were screened, of whom 502 eligible index participants were included in the analyses, with 126 in the intervention group and 376 in the standard of care group. Of the index participants enrolled, 39% were in Vietnam, 37% in Ukraine, and 24% in Indonesia. A total of 1,171 injection partners were referred, of whom 806 partners were enrolled and eligible for inclusion. Demographic and clinical characteristics at baseline were similar across the intervention and standard of care groups. Among index participants, median age was 35 years (interquartile range [IQR] 31–38), 85% were male, 80% were ART naive and 22% reported current MAT use. At enrollment, median viral load was 4.6 log10 copies/milliliter (IQR 4.0–5.0), and median CD4 count was 293 cells/microliter (IQR 166–463). Among injection partners, median age was 33 years (IQR 29–39), 89% were male, and 19% reported current MAT use. Median follow-up time was 1.3 years (IQR 1.0–1.7) among surviving index participants and 1.2 years (IQR 0.9–1.5) among surviving injection partners. Of the index participants in the intervention group, 98% completed the initial meeting with a systems navigator a median of seven days (IQR 2–14) after enrollment, with 84% of visits lasting ≤ 30 minutes. The median number of systems navigator meetings within the first eight weeks of enrollment was three (IQR 2–5), and of 1,605 total encounters, 41% were in person and 56% were done by telephone. Of the index participants in the intervention group, 99% completed their first psychosocial counseling session a median of four days (IQR 2–8) after enrollment, with 58% of initial sessions lasting 31–60 minutes. Within four weeks of enrollment, 69% had completed two or more counseling sessions, and within 60 days, 83% had completed two or more counseling sessions. At week 26, 73% (82/112) of surviving index participants in the intervention group reported ART use, compared to 36% (121/336) in the standard of care group (probability ratio [PR] 1.9, 95% confidence interval [CI] 1.6–2.3), and at week 52, 72% (80/111) of surviving participants in the intervention group reported ART use compared to 43% (140/329) in the standard of care group (PR 1.7, 95% CI 1.4–1.9). Participants in the intervention group reported initiation of ART sooner than those in the standard of care group (hazard ratio [HR] 3.6, 95% CI 2.7–4.7). Among surviving index participants, 36% (40/112) in the intervention group were virally suppressed (<40 copies per milliliter) at week 26, compared with 16% (55/136) in the standard of care group (PR 2.2, 95% CI 1.6–3.0), and at week 52, 41% (45/111) of participants in the intervention group were virally suppressed, compared with 24% (80/328) in the standard of care group (PR 1.7, 95% CI 1.3–2.2). Participants in the intervention group achieved viral suppression more quickly than those in the standard of care group (HR 1.8, 95% CI 1.3–2.4). At week 26, 38% (42/111) of surviving index participants in the intervention group reported MAT use, compared with 24% (80/336) in the standard of care group (PR 1.7, 95% CI 1.2–2.2), with similar results at 52 weeks (PR 1.7, 95% CI 1.3–2.2). Over the entire study period, index participants in the intervention group reported initiation of MAT sooner than those in the standard of care group (HR 2.4, 95% CI 1.6–3.7). Overall, 13% of index participants died during follow-up, of which 26% were considered to be related to HIV, 24% had an unknown cause with a CD4 count of <200 cells/microliter, and 18% had an unknown cause with a CD4 count of ≥200 cells/microliter. Mortality was lower in the intervention group (5.6 deaths per 100 person-years [py], 95% CI 2.6–10.6) than in the standard of care group (12.1 deaths per 100 py, 95% CI 9.1–15.6; HR 0.47, 95% CI 0.22–0.90). No injection partners in the intervention group acquired HIV infection, whereas 7 partners acquired HIV in the standard of care group, for an incidence difference between groups of -1.0 cases per 100 py (95% CI -2.1 to 1.1). Injection partners in the intervention group reported MAT use slightly more often than partners in the standard of care group (at week 52, PR 1.3, 95% CI 0.96–1.7), and partners in the intervention group initiated MAT within a slightly shorter timeframe than partners in the standard of care group (HR 1.3, 95% CI 0.87–2.0), although neither comparison was statistically significant. Mortality was lower among injection partners in the intervention group than in the standard of care group (0.46 vs. 2.6 deaths per 100 py, HR 0.17, 95% CI 0.01–0.84). This multi-site randomized controlled trial showed that an intervention consisting of systems navigation support and psychosocial counseling for HIV-positive PWID was feasible and led to improved ART use, MAT use, and viral suppression, as well as reduced overall mortality. Furthermore, this study found no new HIV infections and a reduction in mortality among HIV-negative injection partners of PWID receiving the intervention. This study was designed as a vanguard study to estimate HIV incidence among HIV-negative injection partners and assess the feasibility of a larger randomized controlled trial. It was not powered to detect a difference in HIV incidence by study group, and as overall HIV incidence was lower than expected, a larger study was determined to be unfeasible. PWID were excluded from this study if they exhibited any psychological distress or cognitive impairment, which may limit the generalizability of these findings to PWID who may benefit the most from psychosocial interventions. Measures of ART and MAT use were by self-report and therefore vulnerable to bias; however, the viral suppression and mortality outcomes were objective measures and support the validity of the intervention’s effect on these self-reported measures. Index partners were informed that their HIV-negative injection partners would be made aware of their HIV status, which may have selected for participants who were willing to disclose their HIV status. Knowledge of an HIV-positive injection partner may have led to risk-reduction behaviors that may partially explain the lower-than-expected HIV incidence among injection partners. Participants were compensated for their transport and time, and index participants were compensated for recruiting their injection partners, which may further limit the generalizability of the findings. Despite being conceptualized as different roles, all sites chose to have one person serve as both the systems navigator and psychosocial counselor. The effects of the intervention were most notable in Ukraine and Vietnam, with little effect observed in Indonesia. The reasons for these differences are unclear, but more Indonesian index participants reported previous or current ART use at baseline and had been on ART for longer durations than participants in Ukraine or Vietnam, suggesting that the intervention may be more effective in PWID who are new to ART. While the relative effects of the intervention were good over 52 weeks, ART uptake, MAT uptake, and viral suppression were still suboptimal in the intervention group, suggesting a need for additional measures to improve overall outcomes among PWID. ART initiation regardless of CD4 count was a component of the intervention, while ART initiation in the standard of care group was based on country guidelines. Before December 2015, ART eligibility in Ukraine was limited to individuals with a CD4 count ≤350 cells/microliter; subsequently, PWID at all three sites were eligible for ART regardless of CD4 count, because of their high-risk status. This multi-site randomized controlled trial in Vietnam, Ukraine, and Indonesia showed that an intervention that integrates systems navigation with psychosocial counseling can significantly improve HIV outcomes, increase MAT uptake, and decrease mortality among HIV-positive PWID. Furthermore, this study demonstrated a reduction in mortality and observed no new HIV infections among HIV-negative partners of index PWID receiving the intervention. The intervention described in this study is relatively inexpensive and flexible, making it easy to scale and adapt to a variety of contexts in which HIV and MAT services are available for PWID. The social network approach to engaging PWID and their HIV-negative injection partners may also be a means to reduce HIV transmission in this high-risk group.